This is the base of a shell shot from the VIZCAYA at the Battle of Santiago. 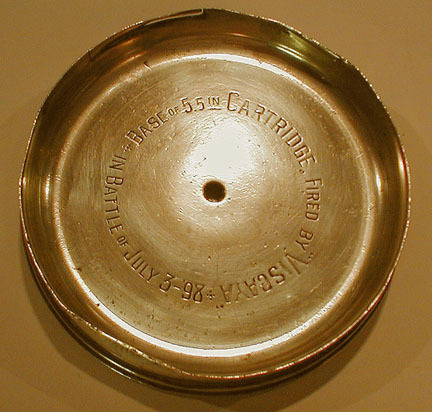 It is believed to have been brought home by Lt. George Blow, formerly of the USS MAINE. The shell is now in the collection of the Mariner's Museum, Newport News, Virginia.